How does the mind produce creative ideas? Past research has pointed to important roles of both executive and associative processes in creative cognition. But such work has largely focused on the influence of one ability or the other—executive or associative—so the extent to which both abilities may jointly affect creative thought remains unclear. Using multivariate structural equation modeling, we conducted two studies to determine the relative influences of executive and associative processes in domain-general creative cognition (i.e., divergent thinking). Participants completed a series of verbal fluency tasks, and their responses were analyzed by means of latent semantic analysis (LSA) and scored for semantic distance as a measure of associative ability. Participants also completed several measures of executive function—including broad retrieval ability (Gr) and fluid intelligence (Gf). Across both studies, we found substantial effects of both associative and executive abilities: As the average semantic distance between verbal fluency responses and cues increased, so did the creative quality of divergent-thinking responses (Study 1 and Study 2). Moreover, the creative quality of divergent-thinking responses was predicted by the executive variables—Gr (Study 1) and Gf (Study 2). 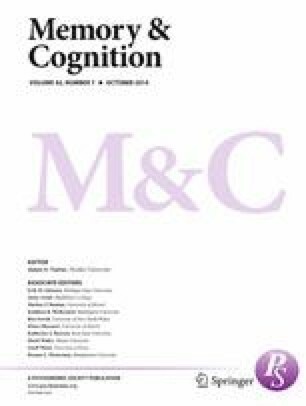 Importantly, the effects of semantic distance and the executive function variables remained robust in the same structural equation model predicting divergent thinking, suggesting unique contributions of both constructs. The present research extends recent applications of LSA in creativity research and provides support for the notion that both associative and executive processes underlie the production of novel ideas.